Support by helping pupils to develop the skills to access information efficiently and effectively. Promote by encouraging reading for pleasure by providing a broad range of high quality fiction and non-fiction. Respond by providing a proactive and responsive service tailored to the needs of pupils, staff and curriculum areas. The LRC is open throughout the school day, including before and after school as well as during break and lunchtimes. This is to ensure that students have extensive access to the LRC in order to complete work, homework or read. The LRC very well used during lesson time and is regularly booked for Accelerated Reader lessons. All Year 7 and 8 students take part in the Accelerated Reader programme during their English lessons, which is designed to track and monitor students’ reading and raise literacy levels. Parents can access Home Connect, a parent portal which gives information such as what their child is reading, how often they read and how well they understand the books they've read. This information can then stimulate discussions at home and help to emphasise the importance of reading to students. Click on the below link to access Home Connect and then use your child's Accelerated Reader login details (which should be in the front of students' Reading Records). The LRC is a welcoming and useful place to learn as well as relax. It is also a flexible space as it can accommodate whole classes of students as well as smaller groups and sole learners. 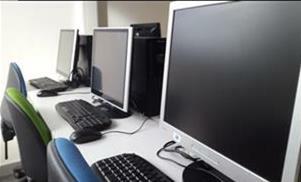 There is a suite of 12 computer workstations, a printer/photocopier and two soft seating areas to encourage reading for pleasure. The LRC aims to provide easy access to up-to-date and high quality resources. This is essential for supporting students in their learning across the Academy. The LRC currently houses a collection of approximately 7,000 books. A broad range of reading materials are available in order to cater for a variety of different student ages, abilities and interests. It is important to note that all resources give a positive, balanced coverage of cultural, religious and political issues without undue extremism. Several high quality journals are also available for staff and students to use as well as a range of magazines, which are recreational or curriculum relevant. First News is a newspaper for young adults, which is also available weekly. A comprehensive careers library is also available, which contains information and guidance about careers as well as college/university prospectuses. Mrs Caunt, our Business Engagement, Work Related Learning & Careers Officer, is based within the library and is available to speak directly to students. As our recent Ofsted report highlighted, there is “a clear culture of reading at the Academy.” This is something we are committed to maintaining through broadening students’ reading and literacy skills throughout their time here. There are half-termly displays and competitions in the library which promote reading and encourage our students to get involved. Every year, we also organise a reading festival, SNARF (South Notts Academy Reading Festival), in order to raise the profile of reading. This usually involves an author visit, as well as various competitions and activities happening across the academy. The LRC is managed by Ms C. Warren, who works in the mornings and has a wealth of knowledge, experience and qualifications that can support students and staff effectively. We also have on staff a Learning Resources Assistant, Mrs Jackson, as well as a team of Junior Librarians who help out at lunchtimes. If you would like any general advice on reading and literacy or maybe would like some book recommendations, please do not hesitate to email c.warren@snacademy.org.uk and we will be happy to help.